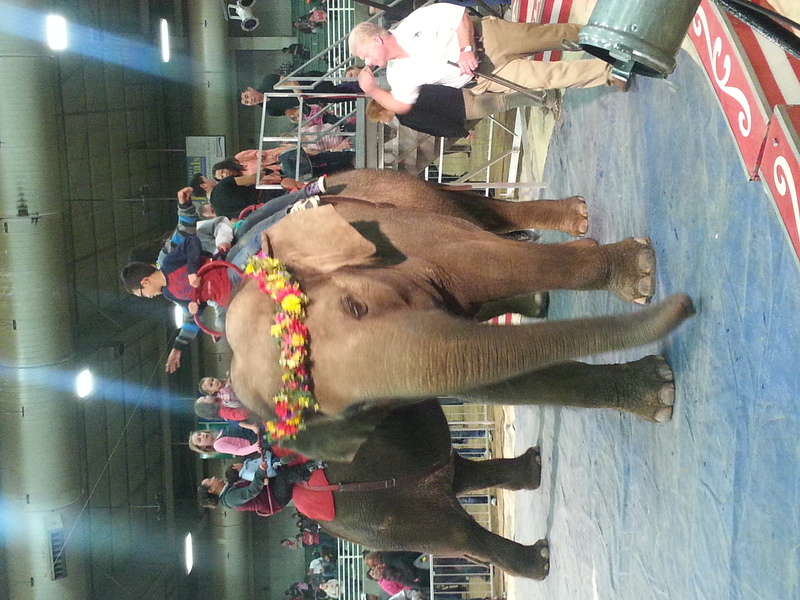 Citing a “mood shift” in the public, Ringling Brothers announced in 2015 that it would be ending the use of elephants in all of its circus acts. This development is historic and clearly demonstrates that public opinion is changing. Most people no longer think it is entertaining to force wild animals to perform cruel, unnatural and confusing tricks. However, there is more work that remains to be done for animals under the big top. 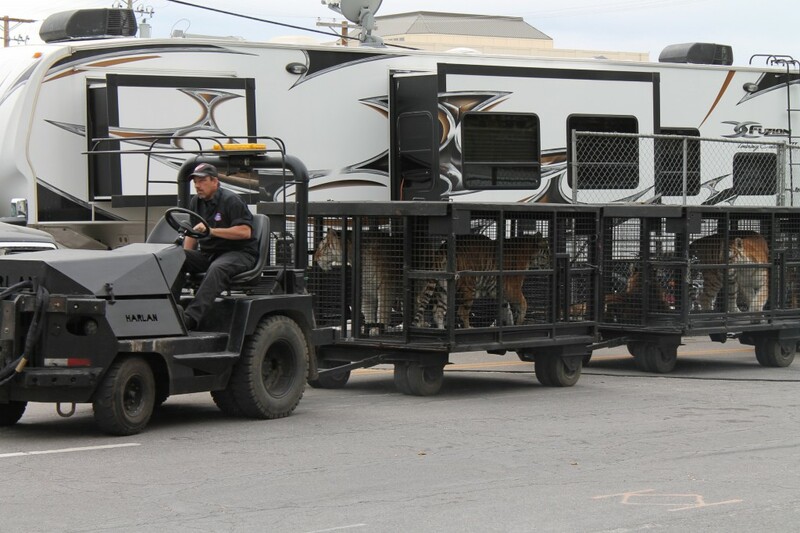 First, Ringling Brothers still imprisons other wild animals, including lions and tigers. These big cats, which are territorial animals who roam over many miles in the wild, are forced to live most of their lives in tiny, cramped cages where they must eat, drink, sleep, and defecate. 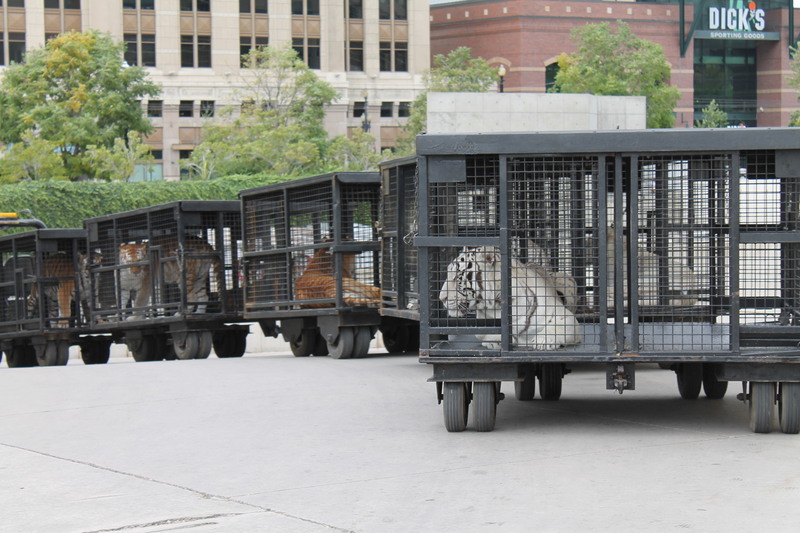 These big cats can be seen exhibiting symptoms of “zoochosis” in these cages, like endless pacing. 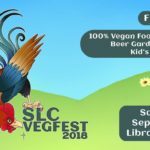 Ringling makes an annual stop in Salt Lake City in the late summer/early fall. 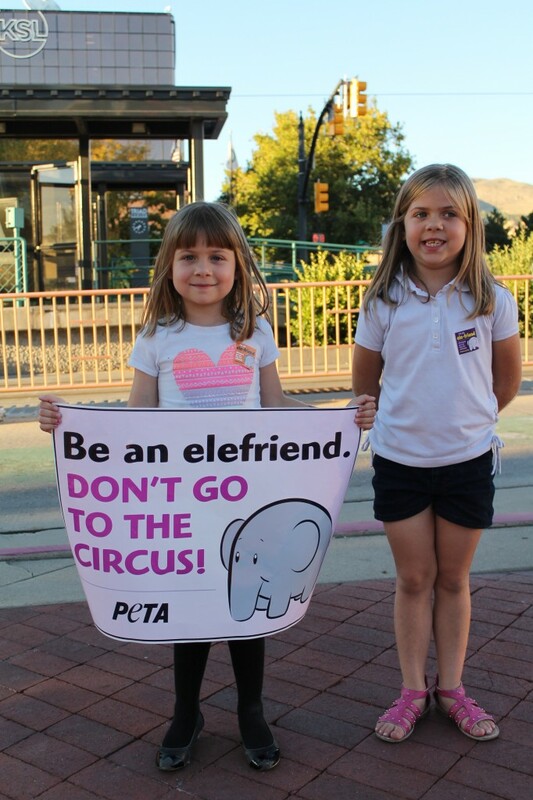 UARC urges anyone who cares about animals to boycott Ringling Brothers until they end the use of all animals in their circus, and we encourage concerned individuals to join us in protest. 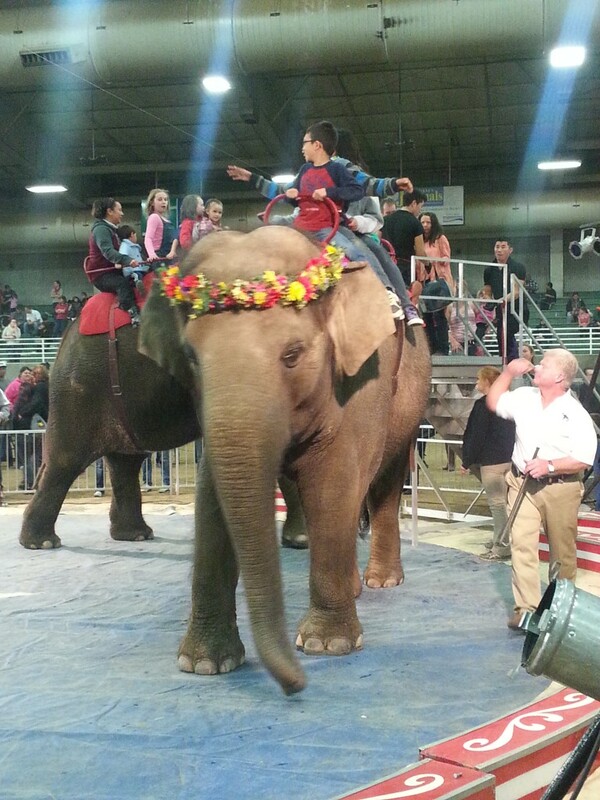 UARC urges Salt Lake County officials to follow in the footsteps of Madison, Wis. and prohibit the use of county-owned facilities, including the equestrian park, for circuses that feature wild animals. 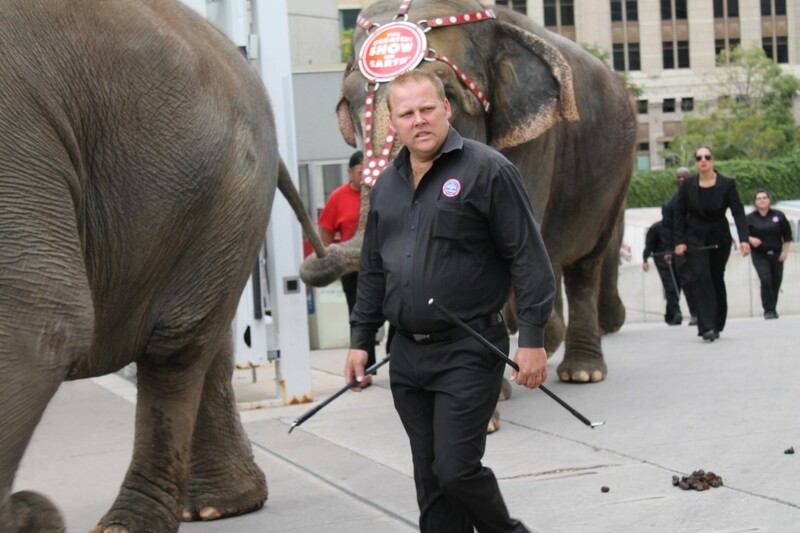 Behind Vivint Smart Home Arena, a Ringling Brothers elephant handler wields two sharp and painful bullhooks.